On 11 November 1918, an armistice came into effect ending the war in Western Europe – but this did not mean the return of peace. 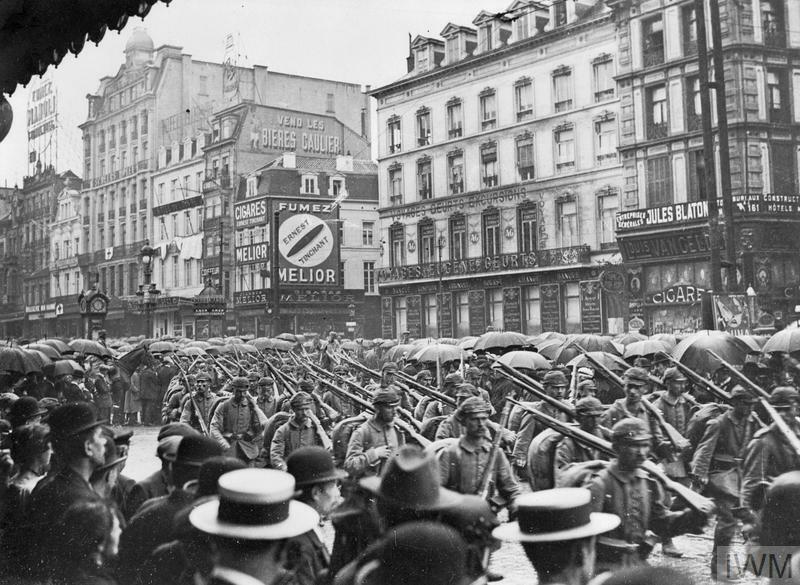 The armistice was effectively a German surrender, as its conditions ended any possibility of Germany continuing the war. Similar agreements had already been signed by Bulgaria, Turkey and Austria. 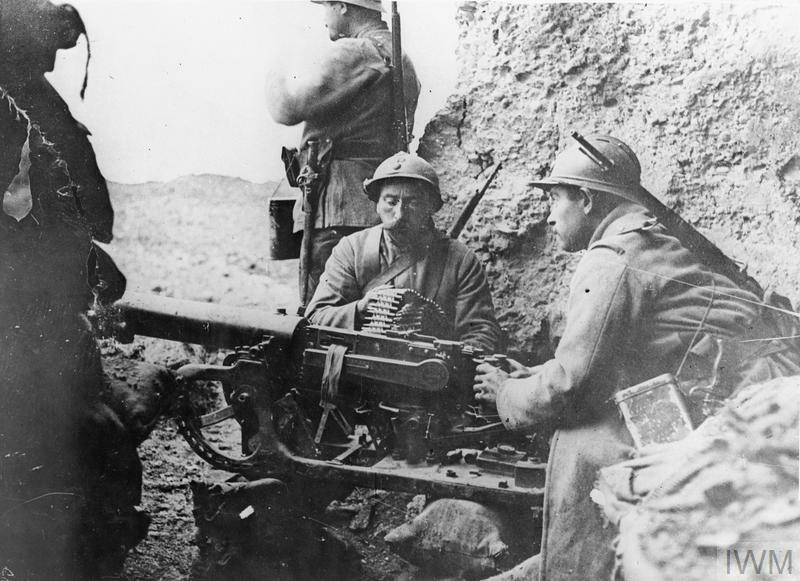 However, the peace treaties which officially ended the First World War were not signed until 1919. In the interim, fighting continued in many regions, as armed groups pursued nationalist, revolutionary or counter-revolutionary aims. Russia was torn apart by a civil war, which claimed more Russian lives than had the world war. The peace settlements were imposed by the victors, rather than negotiated, and have since been criticised as laying the foundations of future conflicts. In fact, the conditions imposed upon the defeated powers were not unduly harsh, but the treaties contained many compromise solutions to difficult issues. As a consequence, their long-term success was limited, but they did not in themselves make the Second World War inevitable. This is the moment of resolution for the Peace Conference when the leading allied politicians are able to demonstrate their determination and unity as the treaty is signed, as well their political power. The setting is the dazzling Hall of Mirrors at Versailles, built by Louis XIV, at vast expense as a demonstration of his political power. 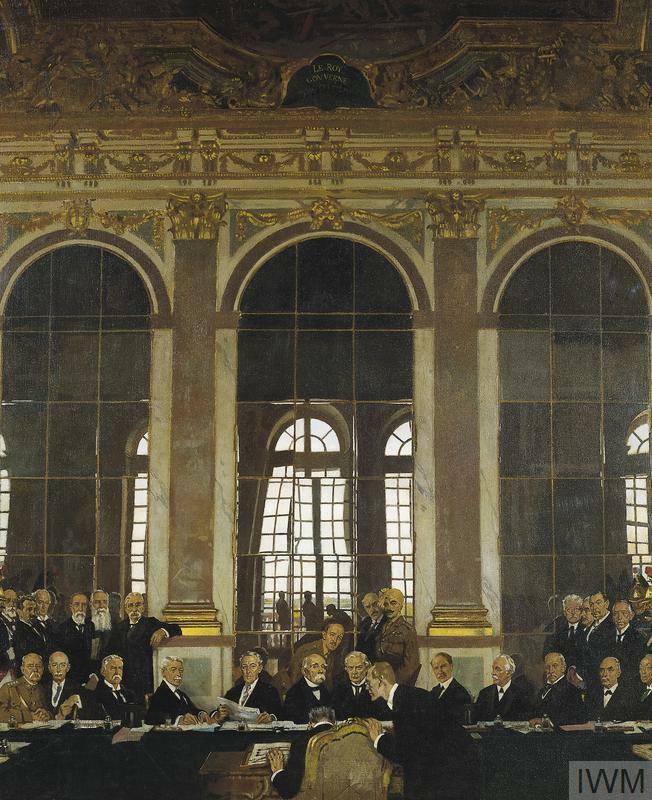 Above their heads reads the legend 'Le Roy Gouverne par lui même' [The King governs alone], a pointed reference to the conference's endless squabbling, as Germany claimed not to be able to meet the penalties imposed and the allies were unable to agree a compromise. In William Orpen’s vision, it is the extravagance of the architecture that sets the scene, reducing the politicians to a footnote. Their supposedly ordered world is distorted and broken by the mirrors behind them.